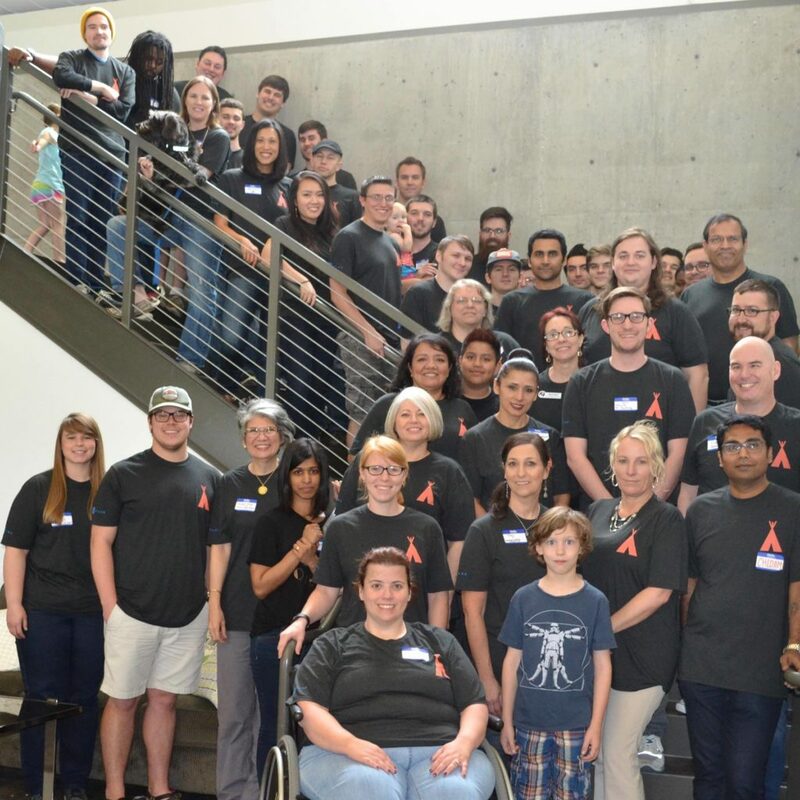 About 50 people gathered recently during GiveCamp NWA to fix or create websites for local nonprofits. It usually takes a few weeks to produce an entire website from scratch but at GiveCamp NWA, we do it in a weekend. GiveCamp is one of my favorite activities each year and I am already looking forward to next year. So what is GiveCamp NWA? It’s a weekend where technology professionals from the region gather to create, fix or somehow alter websites for nonprofit organizations. The organizations have to apply and get approved then they are assigned to a team. Last year, the team I was on created an entire website for an animal rescue called Rosco P. Coaltrain’s Community Outreach. This year, my team was assigned to work with the Northwest Arkansas Women’s Shelter. The first year, I was just a writer and this year, I worked as a project manager. As you can imagine, the shelter already had a website but it was in drastic need of updates both behind the scenes and the way it worked for the average user. We made many updates, gave them a whole new look with better function, and made many other changes. They had several needs that we were not able to fulfill in a weekend, but were able to refer them to someone who can. I really enjoyed this experience and think it’s great that the NWA technology community is willing to give like this to such great organizations.